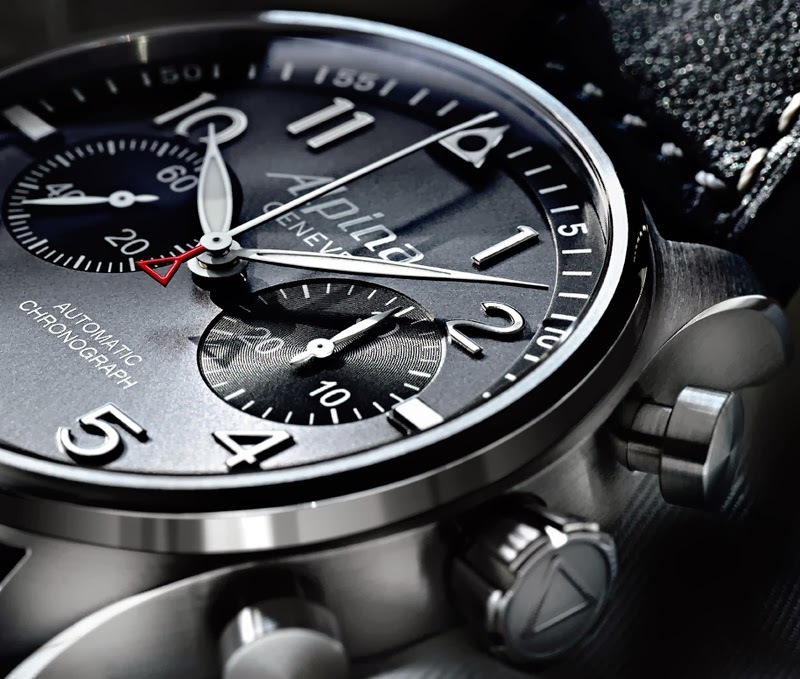 Alpina - StarTimer Pilot Automatic Chronograph "Sunray"
An addition to the Alpina StarTimer professional pilot watch collection, the new StarTimer Pilot Automatic Chronograph "Sunray" (ref. AL-860GB4S6) adds grey sunray luxury finishes, applied numerals and a new minutes ring while maintaining the professional pilot features of the line. 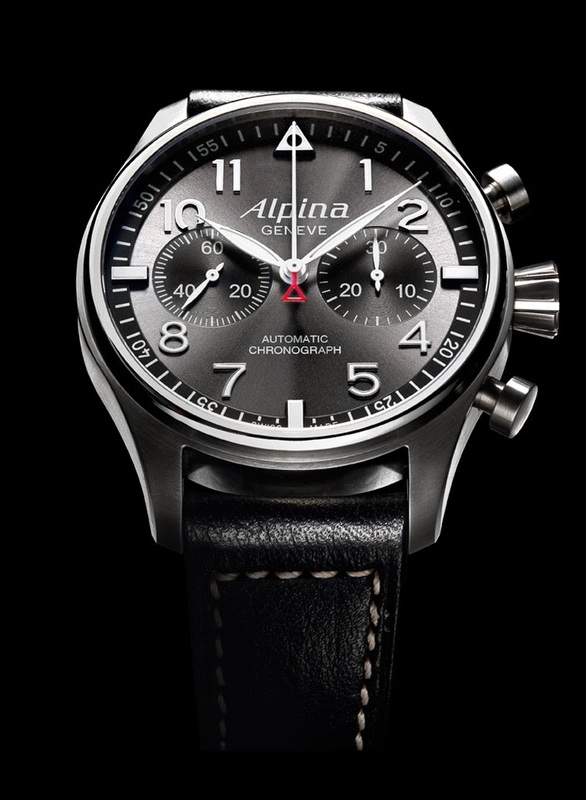 The Alpina StarTimer Pilot Automatic encases the Alpina AL-860 Automatic Chronograph movement with “Bi-Compax” 60 seconds and 30 minutes small counter layout. The power reserve is 46 hours. 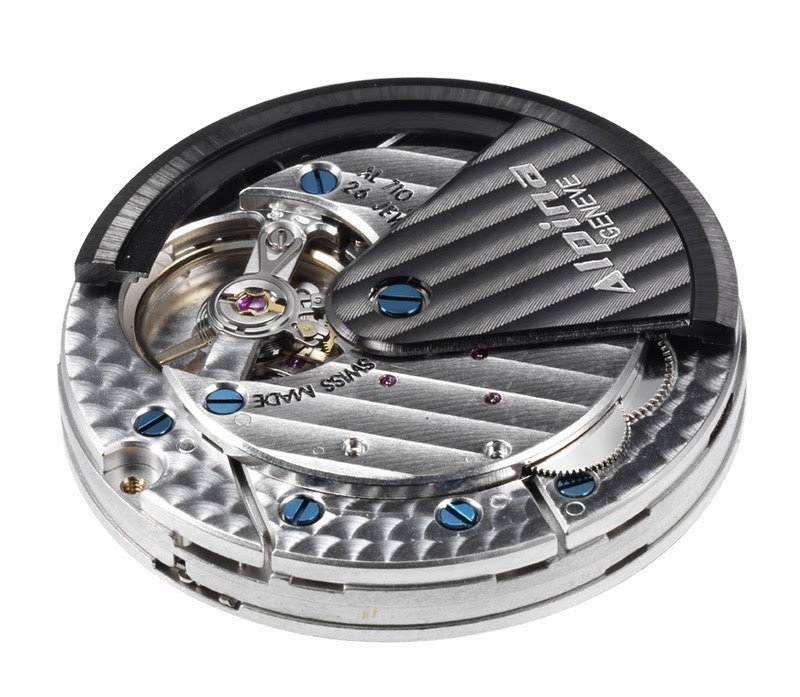 The 44mm stainless steel case is 100m (300ft) water-resistant with a see-through sapphire crystal case back. The “Bi-Compax” dial layout is ideal for time readability, a must for pilot watches. A limited edition of 8888 pieces, the new StarTimer Pilot Automatic Chronograph "Sunray" is available with leather strap or steel bracelet and it is delivered into a special gift box with a Cessna Mustang plane miniature. 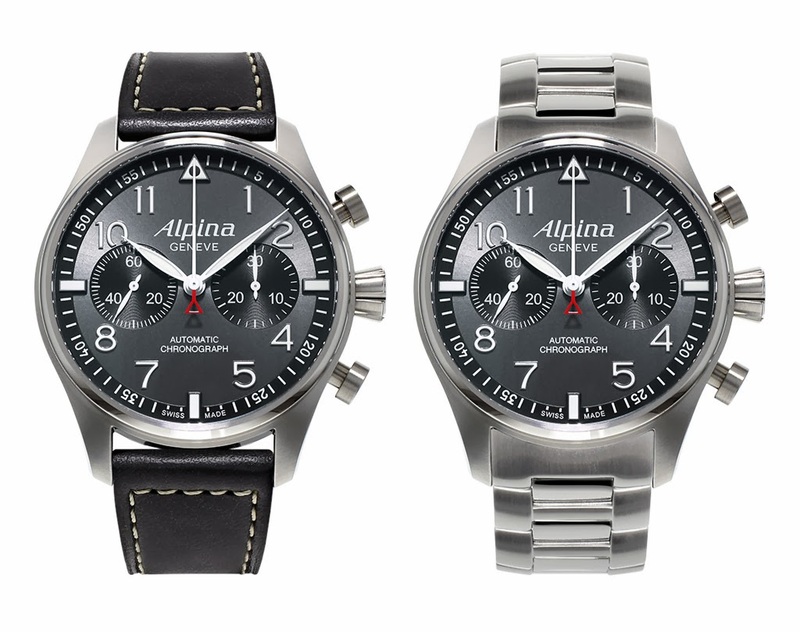 Time and Watches: Alpina - StarTimer Pilot Automatic Chronograph "Sunray"